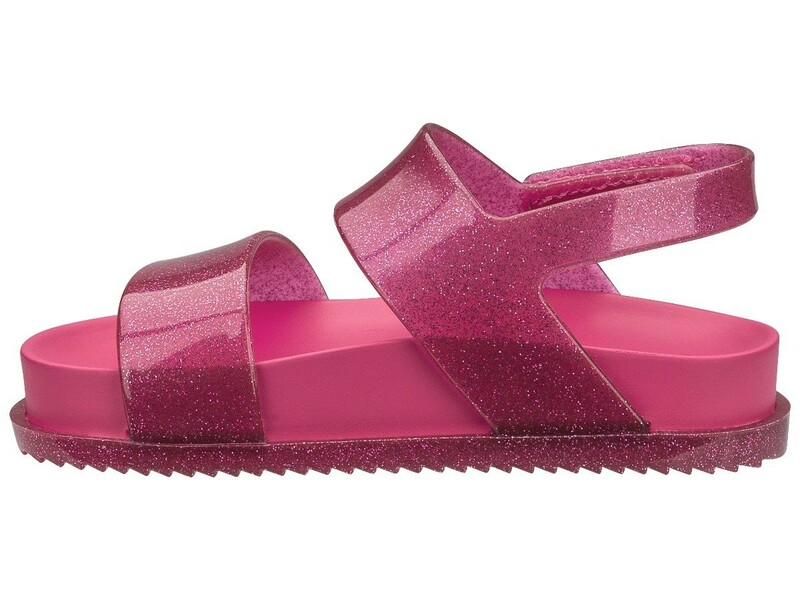 Mini Melissa Cosmic Sandals are a playful twist on the classic sandal. Made from Melissa's unique Melflex® material, these shoes are flexible but durable. 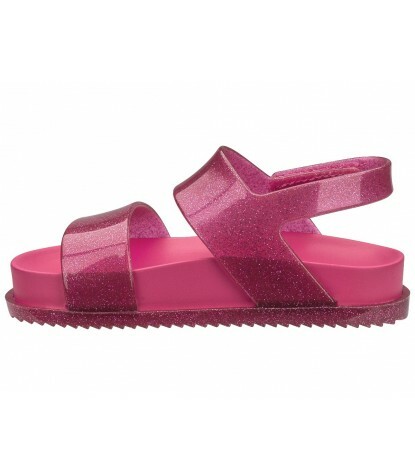 This style features a hot pink base, double straps in sparkling pink glitter, and Melissa's signature scent. A perfect sandal for warmer weather.